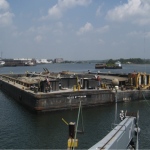 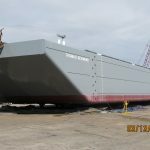 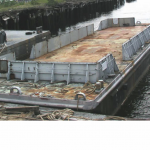 The 742 is a 140’ x 36’x 11’ 650 cubic yard capacity dump scow built for the U.S. Army. 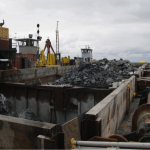 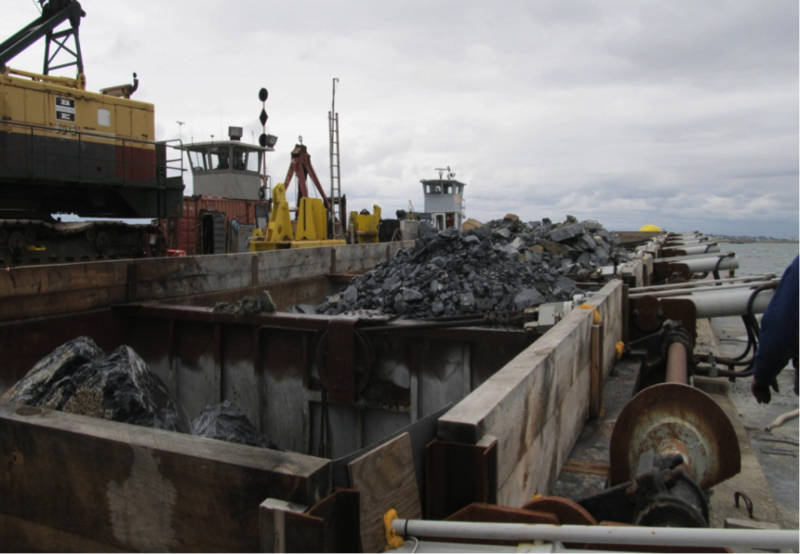 The 742 is a 6 pocket scow that has been re-fit with automatic hydraulically activated dump doors as well as heightened combing to hold more material. 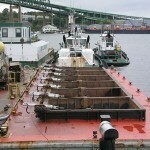 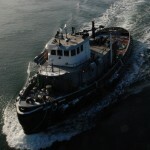 The doors are remote controlled and can be dumped from the towing vessel, leaving the dump scow unmanned. 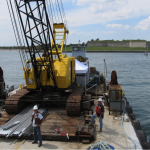 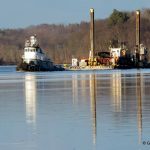 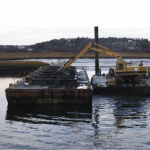 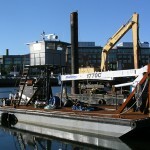 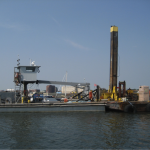 It has been used on many smaller projects and it perfect for dredge work in marines, smaller rivers and confined spaces. 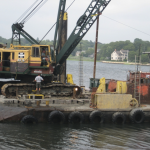 The 742 is ABS, Loadline certified, has USACE Silent Inspector system installed and is ADISS certified.